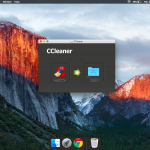 Now, what does “clean your mac” means? I know you love your Mac and don't let it get dirty, that's cool, but that's not the kind of cleaning I'm taking about. I'm talking about the internal cleaning of your Mac, internal as in the sense of programs , unwanted files, etc which are just present there, but not needed. Ever wondered “Why is my mac so slow”? Ah Duh, you saved up for couple months to buy this Mac, and now it's lagging like a piece of old junk, right? I know that feel, that's one of the reasons I took up to compiling this post over here, to show you how to clean Mac. Well, it's kind of a fault in the codes used to program the computers, be it a Windows, Mac or any other OS, the codes aren't advanced enough to self-clean themselves. Meaning, the computers still don't know which files you might want to keep and which not. Which files are needed and which not, so in response, it saves all the files that are required during running a process, and when you quit the application, the files are still there, and over time, there is a big enough army of files to clog your Mac and make it crawl. 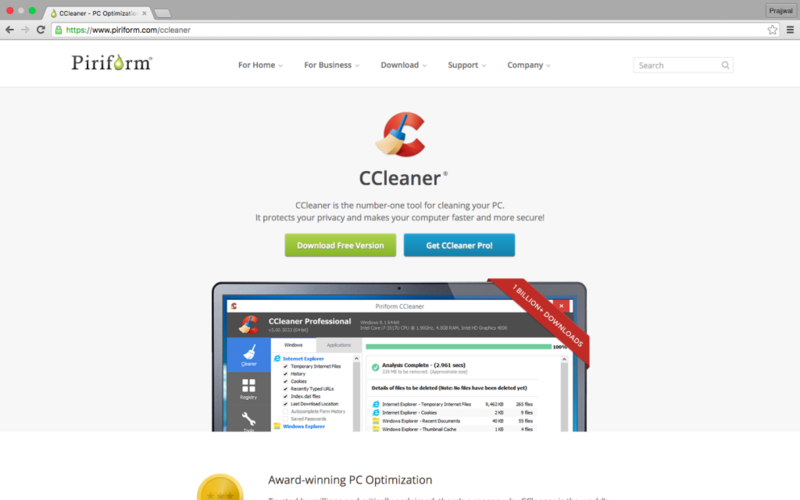 So that's exactly what the Ccleaner for Mac do? It cleans up those unnecessary, unwanted temporary files so that your Ccleaner can keep on running with the same speed as when you bought it. 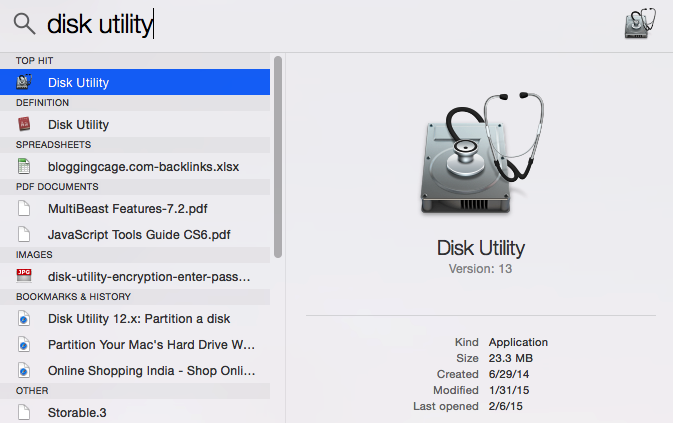 It's kind of the disc cleanup thing for Mac. 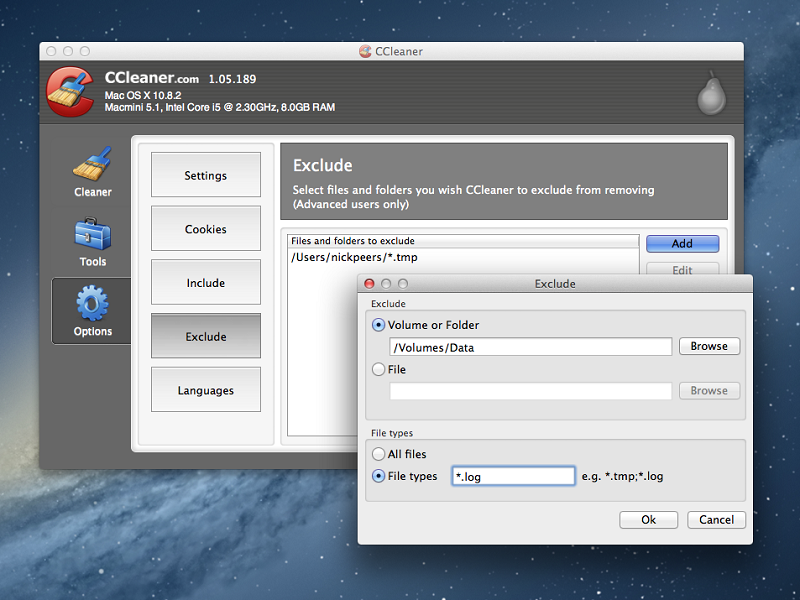 Apart from just “cleaning” files, there's a lot that your CCleaner does for you. 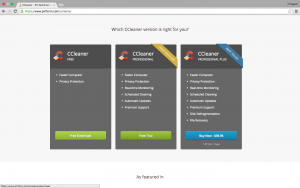 What exactly does the CCleaner do except Cleaning? It most definitely speeds up your Mac, there's no doubt to that. Of course, when unwanted files and junk is freed off your Mac, there'll be more space available, more RAM available and more resources, so your Mac gets fast simple as that. Well, that's just a term I coined, no official declaration to that, but I did that for a reason. 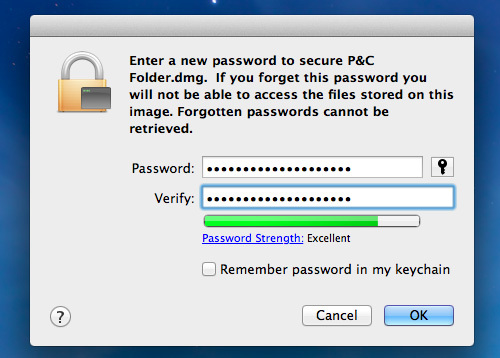 It just removed all the clutter on my mac, with a single click, and that lead me to this term. Clutter, meaning the temporary files, and even broken file permissions, it was like the whole of my Mac automatically got organized, so it's only fair on my part to acknowledge the loyal cleaner's services. You might not notice it initially, but if your mac gets a lot of broken file permissions, over time this issue gets big, real big. Now the cleaner fixed it for me. Almost all the websites store your cookies from your mac and those are like footprints of you online. 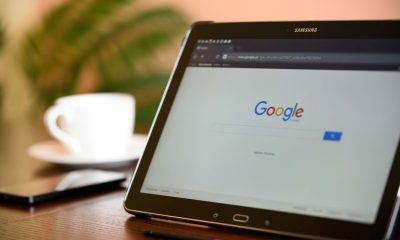 Of course, they do so in order to give you a better and faster browsing experience, but if you have a fast enough internet connection, you might not need the help of cookies from the browsers. Also, even without a fast connection, some people, at least, me, don't like to leave my footprints on the internet, come on, it's just freaky. So the CCleaner has this little superpower to erase your browsing history, and cookies and all other footprints from the internet. 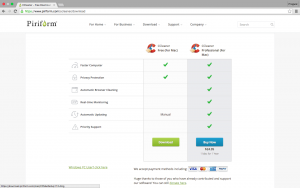 You can configure the CCleaner according to your own needs. If you don't want the “don't track me mode” it's your choice. If you want to keep certain files and don't want them removed, it's your choice again. So in short there's a complete control you get, no hard & fast rules to it. And that's just another aspect why I'm so in love with my loyal warrior. It's simple, before you can install it you need to download it. So head over to PiriForm. And click on the Download Free Version Button. Now Choose the Free download option on the next screen. 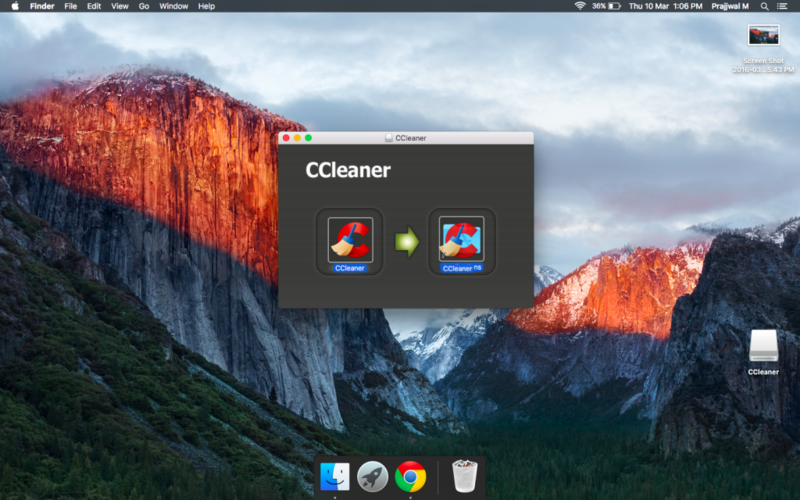 Now just head over to the newly downloaded Ccleaner icon, and integrate it with your applications. The next screen should look something like the below screenshot. Once it's in the applications folder, you should know that your task is done. So that was about it. Now feel free to explore it and play around, that was just about the installation of CCleaner on Mac. The whole process is just as simple as 3 basic steps. Download> Click on Downloaded Icon > Integrate to Applications folder. Done. Yes that's how simple it is. So probably you don't need to search on Quora or other networks and wait for days for questions to simple answers like “How to clean up my mac”, instead just make the 3 clicks and don't ever worry about your Mac lagging or getting slow. And with that, we come to the end of this article. If you have any questions or queries, do leave them in the comment section below. We will try our best to quell your doubts. If you liked this article, don't forget to share it on social media! It helps us out a lot and who knows, may help someone else who's dealing with a sluggish Mac as well! Willing to get uTorrent movies download files from the internet just at one go? Well, it is the time for you to go and use the uTorrent application. With lots of multiple features for you to use, you can easily download different files from this application just with a click. All you have to do is learn how to use it and then download the application for further usage. Well, if you do not know the correct process to do it, here is a quick guide for you to go for is you are unaware of How to use uTorrent to download files. Step 1 The first and foremost thing that you need to do is to install and the downloading process. For Windows PC users, it is recommended that you can download the file from the uTorrent website and then get on with it. However for Android users, you can have a download from the Google Play Store. Step 2. After you have finished on downloading the file, you now have to continue running the installer. You have to make sure that you are paying attention to every part of installing the file. This is because it will give you the right thing to go for. Step 3. The next step is of configuring the files and folders with the application. Once you run the software, you now have to configure where to save the files and where not to. This will help you to select the preferences and then customizing the download when you know how to download uTorrent. Step 4 The next step that you have to cover is to set the bandwidth limits. Once you have covered the previous step, it is now about connecting the ISP with the application. You can do this from the options menu of the application mentioned. Step 5. The next part will be to enable the protocol encryption. This is the key element to increasing the download speed of your files by hiding the ISP traffic from the application set in the options. 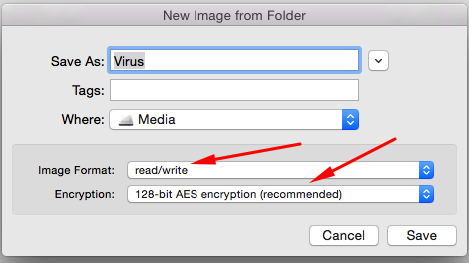 You have to select the option of enabling encryption from the mentioned part in the application. Step 6. Now you have to open the ports of your firewall. You can do this either by going to the default browser which you are using or by giving a click to the option in the application itself. This will help you to run multiple downloads with a high-speed connectivity from the start. See Also: How to Stream Torrents on iPhone? Step 1. The first thing that you need to do is to find out a torrent file online. However, you can do it easily with the help of different torrent engines which are available online. Selecting the torrent file includes everything from games to software and uTorrent download movies and many more. Step 2. Examination of the appropriate file to download the torrent should be one of the key things you have to perform. There are terms such as “seeders” and “leechers” which you need to check as well. The more they are means the recent they have been uploaded and as a matter of fact, the better they will help you to download. Step 3. Viruses are a common thing to catch online and what you have to do is to wait for the comments in the file before you download it. You can choose a file according to the comments mentioned below which will help you to guess which file is safe and which one is not. Step 4. Once you have now found out the uTorrent download movies for free, you now have to click the download button attached to it. It will help you to download the Torrent file. However, you have to wait for a few seconds to download the file. Step 5. Next you have to give a double click to the downloaded file to launch it in the uTorrent application. You now have to verify the downloading place and the click on to star download option which is present inside the application. Step 6. Last but not the least is to check the internet connection. You need to use the internet at the maximum speed for a faster download. This will get the download started in a flash and will end up in downloading the file as quickly as possible. Step 1. The first thing that you need to do is to check the internet connection. Remember the better is it from your Internet Service provider, the faster the download will happen. If you have a slow connection, do not use the internet for any other purposes at the same time to receive the maximum out of your files. Step 2. It is now time to check the peers and the connectivity speed. Though the connectivity speed will depend on the time of the sharing of the file, the peers are related to the speed of the internet connection. Thus, you need to be sure in this field of connectivity. Step 3. Once the download has finished, you can now open it and install the recommended software you were trying to download. However, you have now downloaded the full content which is actually of a much bigger size indeed. Step 4. Once the download has been finished, you can see an ongoing process of seeding. This seeding actually helps you to upload the recent file of the application and go for it. All you have to do is continue seeding until it finally stops as the other users will get a new file and use the files. Step 5. 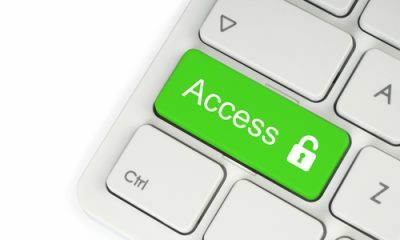 The last step of all if you do not want your content to be tracked by other people, you have to install PeerBlock. This helps in keeping your contents safe and does not disclose your IP from getting followed by other members or law enforcement agencies. See Also: How to Download Free Movies for Android Easily? 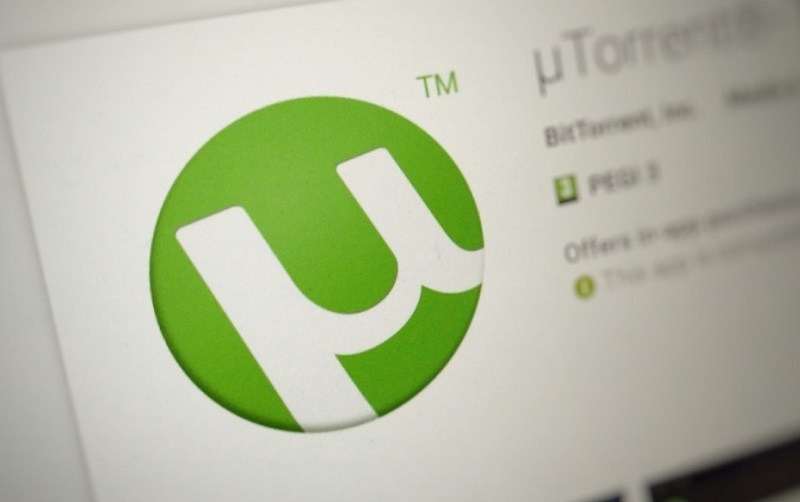 This is a complete guide for you on How to use uTorrent to download files. You can now download files from anywhere and just get the job done Even if your device turns off, the download does not go away, it continues from where the file has been left off. It’s important to know the IP address of your Mac as it comes handy when sharing files or setting up a network. For instance, you might need it when you are setting up devices like printers on a network. IP address also helps in safeguarding your system against malware. 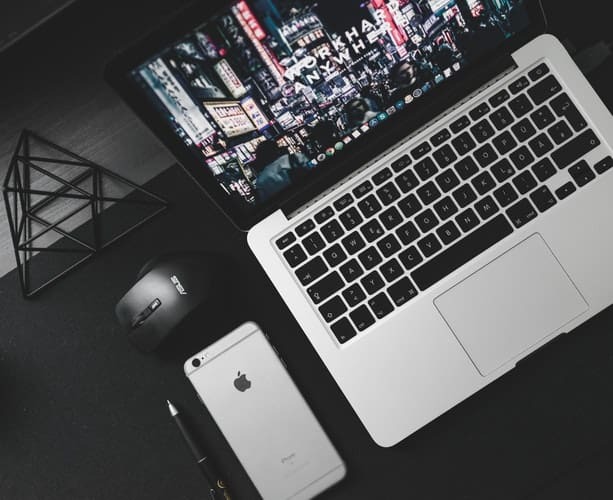 If you’re looking for an efficient guide to learn how to find IP address on Mac, you can discover more than one way in this article. 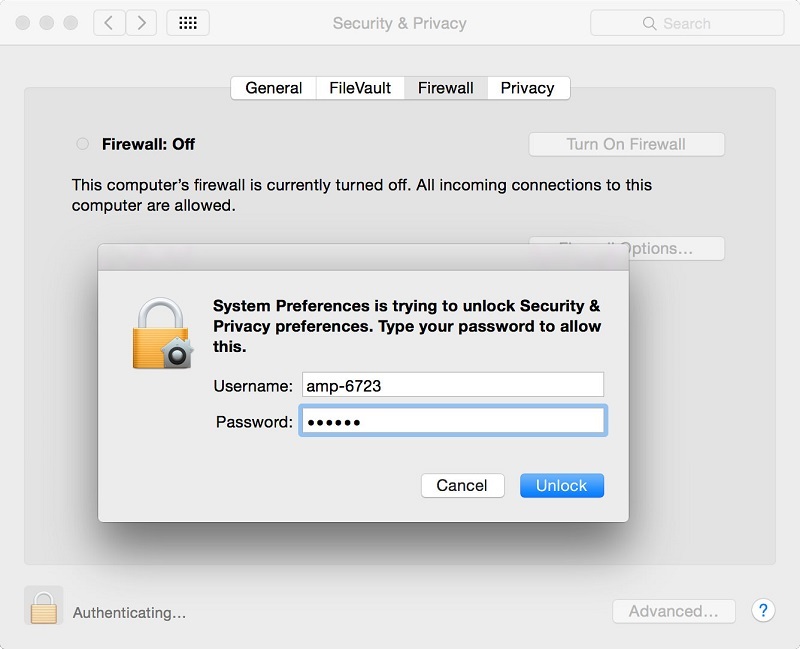 When a Mac is linked to a network, it’s assigned with a network address known as IP address. It’s typically 4 sets of digits parted by periods with around 3 digits per set. If the Mac is linked to the internet as well as a network, then it will have two IP addresses: one external address for the internet connection and one internet to indicate its location on local network. In the following sections, we’ll look into some ways to find the internal IP address as well as External IP address. 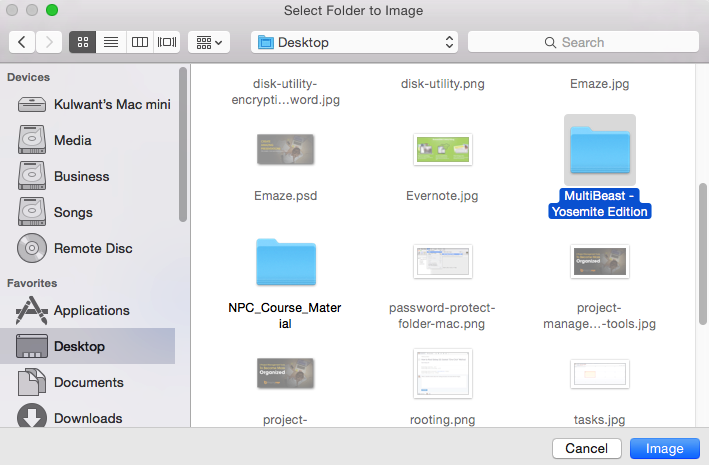 As a new Mac user, I was also struggling to find my IP address, but now as an experienced user I am capable of guiding the other new Mac users through several ways to find it. Read on to find out some of these effective ways. See Also: How to Assign a Static IP Address in Windows 7, 8, 10 or XP? Go through these five steps and soon you’ll know how to find IP address for Mac very easily. On the screen’s left upper corner, you can find on Apple icon. Click on that. Scroll down and choose System Preferences. 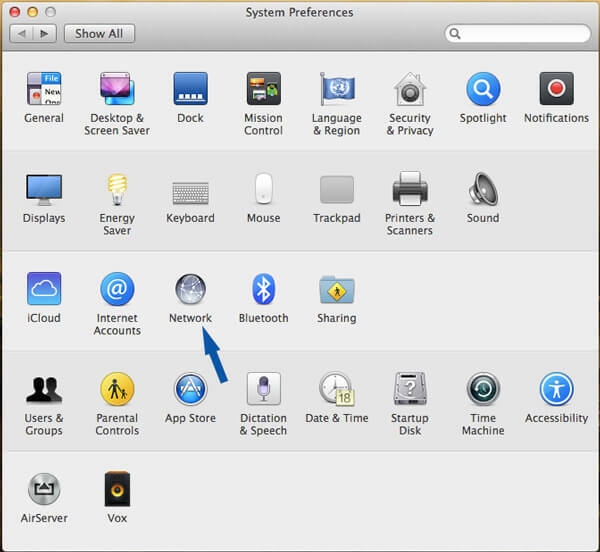 In the System Preferences screen, on the third row, you will find the option Network. Click on that. Choose your connection. You can choose the one that you wish for the IP address in the Show menu. Drop down on the menu to find the different connections. If your connection is wired, select built-in Ethernet. If your connection is wireless, select Airport. Select the TCP/IP tab to display your Mac’s IP address in the Settings window. With that simple procedure, you no more have to be concerned about how to trace an IP address on Mac OS X 10.4. 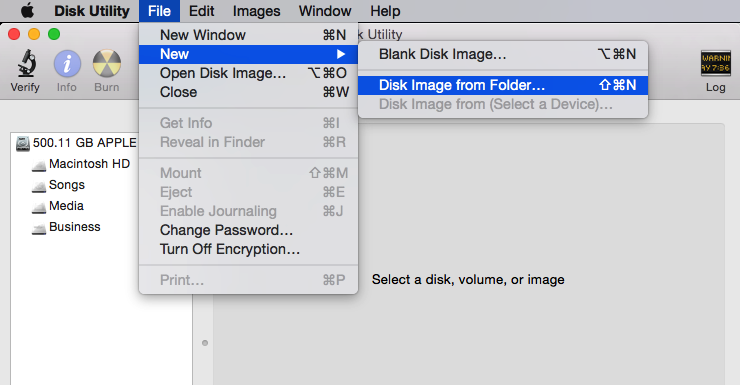 What if you are working on Mac OS X 10.5 or higher versions? The process to know the IP is quite easy for that too! Here it is! Select the Apple icon on the screen left upper corner and scroll down to choose System Preferences just the way you do with OS X 10.4. Select Network option from the third row. Choose your connection. Normally, you will be linked to the network through Ethernet (wired) or AirPort (wireless). The connection that’s actively being used will display ‘connected’ near it. You can find your Mac’s IP address right here beneath the connection status. Usually, the connection that you are using will be chosen by default. Now, doesn’t that sound simpler than how you found the IP address on OS X 10.4? Here’s how to find IP address on Mac via the terminal. 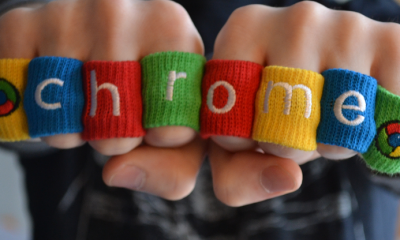 This is one of the best and quickest ways for users who are technically inclined. Access the terminal, which can be seen in the Utilities segment of the Application folder. Use the command ifconfig, which usually results in plenty of unwanted and confusing data being displayed. If you want to avoid the unnecessary data, you can use a command in the below format to know just your internal IP address: ifconfig | grep “inet ” | grep -v 127.0.0.1. This command eradicates the 127.0.0.1 entry, which pops up always irrespective of the system you are using. You can ignore this feedback loop when you want just the IP address. The IP address of your Mac can be seen near the ‘inet’ entry. That’s the terminal’s way to find a Mac IP address. Now that you know different ways to find external IP, we’ll move on to learn how to get IP address (external). Access the configuration page of your router. Most of the routers can be opened via a web interface as this is where you can see the settings and adjust them. Access the web interface by entering the IP address of the router into a browser. Check the documentation of your routers for the particular address. 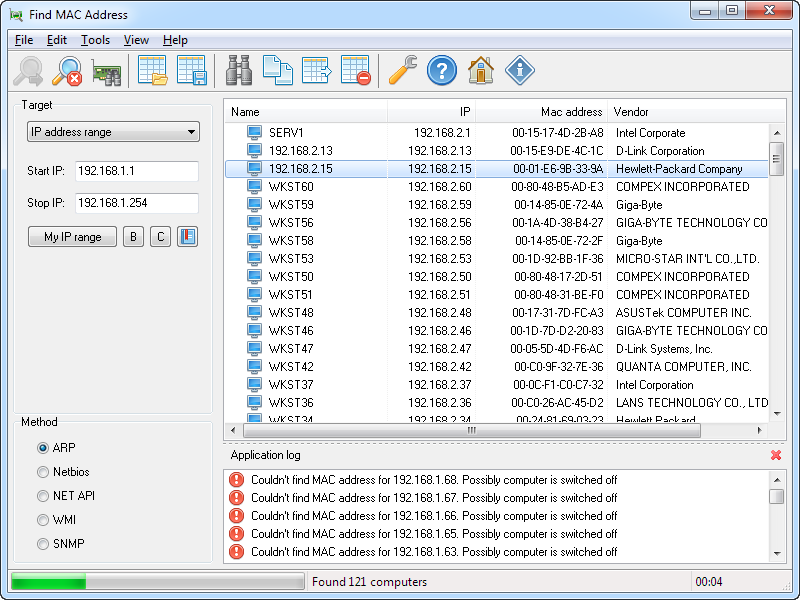 Some of the common router IP addresses are 168.1.1; 192.168.2.1 and 192.168.0.1. Access the status of your router. The external IP address location will differ from one router to the other. A majority of them have it listed in the Wide Area Network (WAN) status or Router Status. Under the Router Status’ Internet Port, you can find your IP address listed. This is your router’s IP address. Any connection that’s made from your router will possess this address. Your internet service provider assigns this IP address. A majority of the external IP addresses change often and hence are dynamic in nature. Proxies can be used to mask this address. You can also perform a simple search on Google with the phrase IP address. This will display your public or external IP address as the first result. See Also: How to Change IP Address in Less than 30 Seconds? So, now you also how to find an IP address (external) on Mac. Now that you’ve learned a plethora of ways, you can also guide your friends about how to check IP address on Mac systems. You might also want to learn to change IP address – Mac systems have a plenty of methods available for changing the address too! You can find several guides for this as well! 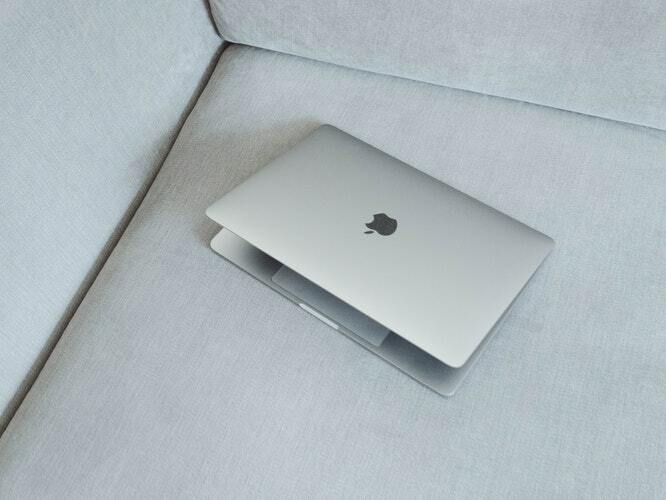 Look out for more such guides to learn more about your Mac system – within a few months, you are likely to be an expert in handling Mac-related issues and can quickly be on your way to troubleshooting them. For now, if you get stuck up anywhere while executing the above-discussed ways to find your Mac system’s IP address, drop your queries in the comments section below and our experts will clarify your doubts. Watching something on a big screen is what we used televisions for, and we still do, but with so many technologies coming in today we have a lot of options on how we can watch other things on TV over us watching something that the TV served us then. The world is moving towards mobile today, and it’s going to be completely mobile in a span few years. Whatever we do today, we want to relate it to mobile and try it on a mobile. Also learn to reset the Apple TV because sometimes Apple TV don't work the way they should work. That time, you may need to reset the Apple TV. Here is how to reset Apple TV. This article will help you understand how to use Airplay on Mac; also, I will take you through the basics of how to set up Airplay on Mac, and what are the bare minimum requirements to use Airplay on Mac. Airplay is an Apple-developed technology, which enables the users to stream music, videos and photos on Airport Express. What are the minimum requirements to use Airplay on Mac? You will see the requirements there. Once you have had a look at these requirements you also need to know the requirements on the Apple TV side. The second generation or later Apple TV comes with the latest update of the Apple TV software. You should also see the resource explaining to uninstalling the programs on Mac. These minimum requirements mentioned above basically help you fasten the process of connecting two devices without having to add another step of getting the passwords and to connect to the wireless networks (Wi-Fi networks). When Mac is using Airplay display, the icon slowly turns blue. 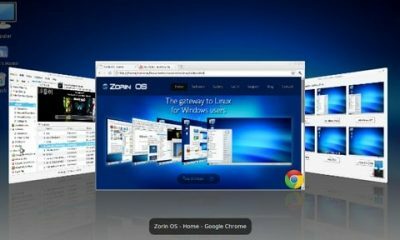 Click on the extended desktop option or click on one of the mirroring options. Airplay on Mac – How to Turn on Airplay on Mac? 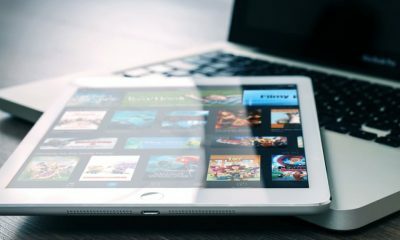 Your Apple device and the device on which you want to stream music or use Airplay should be connected to one network. Ensure that once you go to the Control Centre, the Airplay option appears. 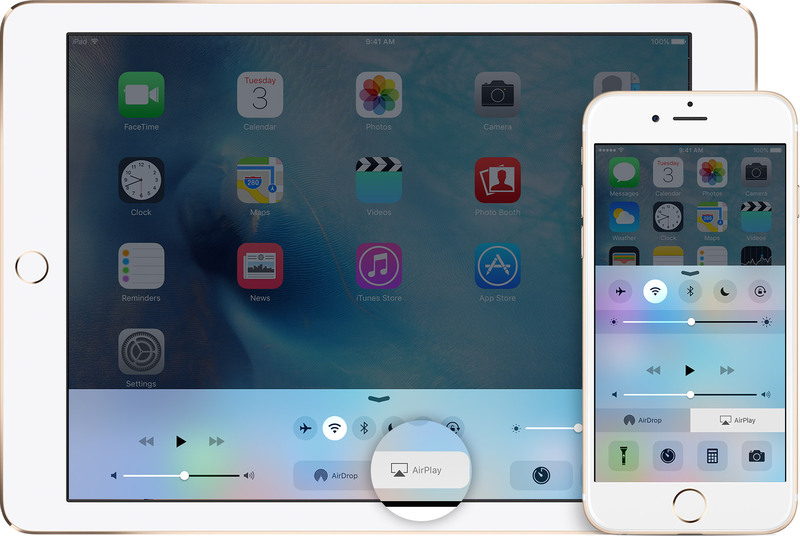 If you want to play music or anything, which is in the music format, you will have to connect your iPhone or iPad to Airplay-enabled speakers. If you want to stream video and photo, you will have to stream it on an Apple TV. 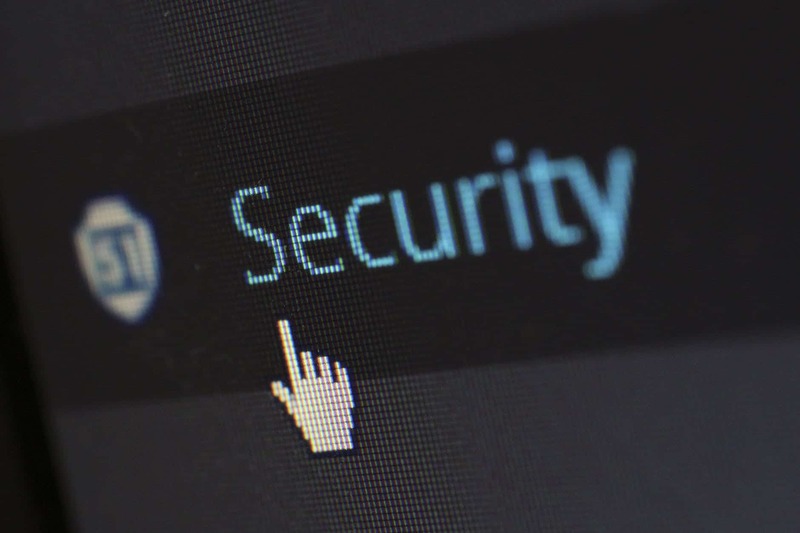 To make this process easily understandable when you connect to the wireless network, you get the icons of those devices you would want to connect to. If you want to mirror your full screen and if you want to stream images on the screen, ensure that the aspect ratios of the TV are set to the required settings. Devices and gadgets tend to trouble you at some point in time, and it is essential to know what to do when you encounter a situation like this. Especially when phones are heavily used, this problem crops up, and there have been cases when the Apple TV and Airplay are not working. Are you aware of what you can do if Apple TV airplay not working? So, you might be confused about which device you might have to put off when something like this happens. Let’s go through a few simple steps you might have to follow when Apple TV airplay not working. The first option is you might try restarting the Apple TV, and you might also try putting off the Airplay and putting it on again to check if it is working. If the Apple TV airplay not working still, it means that they are not meeting the basic requirements of connecting with each other. In this case, you will have to go through the guidelines and check the firewall. Click on the System Preferences option; you will be navigated to the next screen. Select the Security and Privacy option. Is Internet surfing getting slow on Mac? You are required to clean the cookies. Here is How to Clear Cookies on Mac? 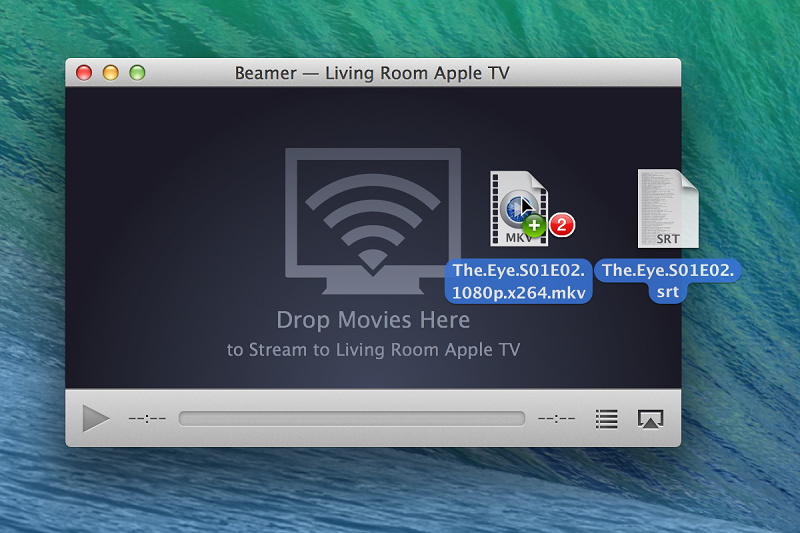 Is it now easy to understand how to use Airplay on Mac? In this, we have mainly focused on the technical aspects of how to setup Airplay and use it. 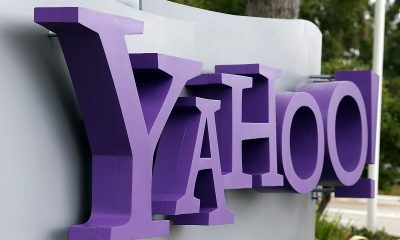 The end of the article will also help you resolve the problem if you are stuck somewhere for the privacy setting as the phones come with default settings. If you still have doubts, share your queries in the below ‘comments’ section, and we’ll enlighten you about what’s to be done to fix the problem. In the next article, we will discuss the evolution of technology in Apple and why Apple chose to build something like Airplay. Stay tuned for regular updates about using Apple’s latest gadgets. In case, you would want to share your input or experience, do leave us your valuable comments in the comment section. Happy streaming, happy mirroring! iTunes is a media management software created by Apple for both Mac and Windows operating systems. It can be rightly said as the home to everything that entertains. It is used to play and manage both the audio and video files. The iTunes Store is also available on the iPhone, iPad, and iPod Touch. All you need to know is how to update iTunes with the latest version of iTunes. Using iTunes, you can not only organize and enjoy the music and movies you already have, but you can also shop for the ones you desire. Even the Beats 1 Radio, presented by Zane Lowe and a team of acclaimed DJs can be tuned into. The iTunes player on your computer keeps all your music together and sorted, so when you want to hear a particular one, you can. It eliminates the need for going through stacks of CDs or digital files; whatever you want can be imported into iTunes and then can be browsed through quickly. iTunes gives you the flexibility of organizing your library the way you want. See Also: How to Fix The “Cannot Connect To iTunes Store” Error? 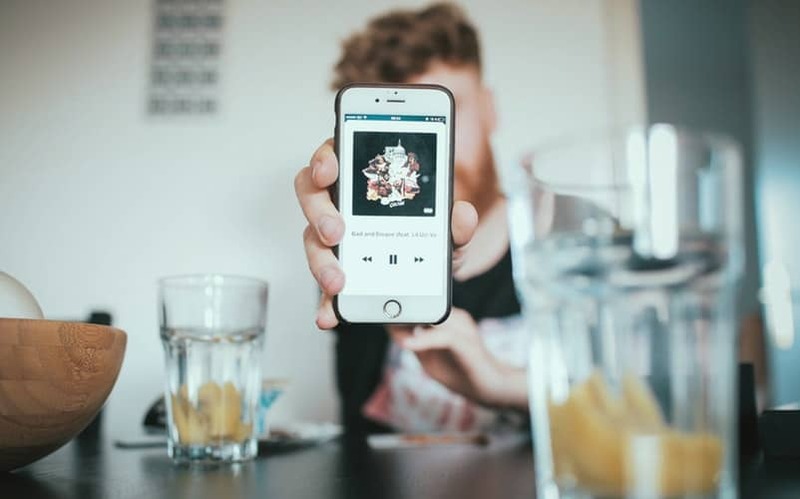 You can create playlists and enjoy them whenever and wherever you want. 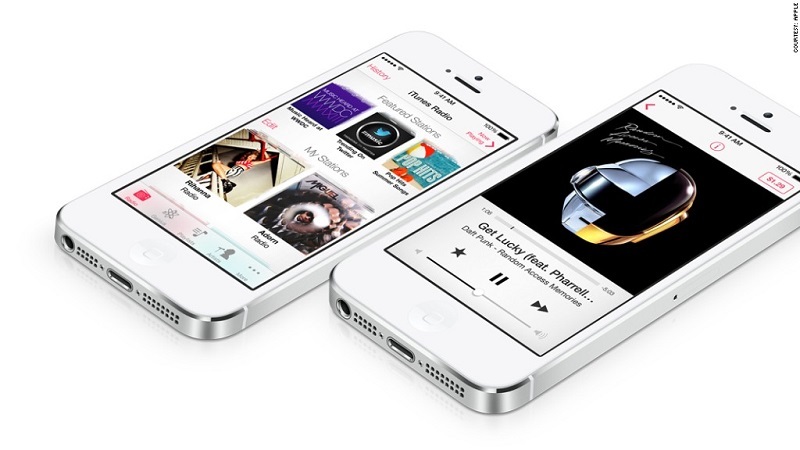 You can also sync them to your iPhone, iPad or iPod touch or stream them to your Apple TV. For all this to happen, you just need to download the latest version of iTunes. iTunes Store has a collection of more than 43 million high-quality songs, so basically if you have a song in your head, it is very likely that it will become a part of your library too. Apart from free downloads, there are songs, which are available at Rs 9, Rs 12 and Rs 15. There is also an option of hearing the selected song for 90-seconds before you decide to buy it. If you have bought a few songs from an album and then you like and want the entire album, you have an option of ‘Complete my album’. On opting for it, you will get the remaining songs of the album and the price of the songs that you already bought earlier will be subtracted. All your Apple devices with same Apple id will get access to it. Apple also gives the option of family sharing. Maximum of six people in a family can share each other’s iTunes purchases. It means if one person buys a particular song then five others can download and enjoy it for free. See Also: How to Deauthorize a Computer on iTunes? Knowing what is the latest version of iTunes and updating it from time to time is a great way to access the latest technology. The latest updates come on a regular basis to add new features and fix bugs. Hence, it is important that you should know how to update iTunes to improve your music listening and buying experience. There is always a message from Apple whenever a new update comes stating, “iTunes Update Available”, but if you have ignored it then too there is nothing to worry. Follow these easy steps to know how to update iTunes on Mac. Open iTunes by clicking on the musical note on the dock at the bottom of the screen. If you don’t find this musical note at the dock, then search for it in Spotlight, which is the magnifying glass in the upper-right corner of the screen. Click on it and type ‘iTunes’ and then click on iTunes when it pops up. Wait for the download to complete and then restart the computer. If you don't see iTunes in the list of updates, it means that you do have the current version of iTunes. When you start iTunes after installing an upgrade, you must click the option to agree to Apple’s License Agreement. iTunes then starts as usual. 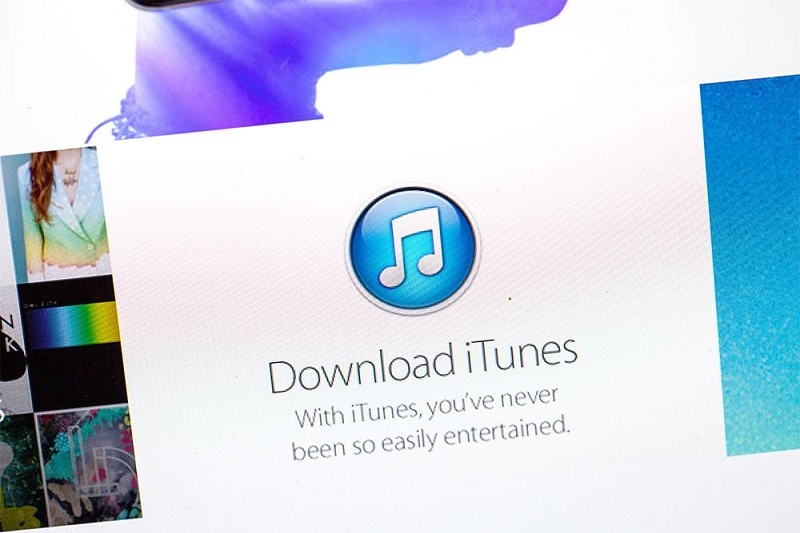 Follow the below steps to download the latest version of iTunes on a Windows PC. iTunes launches your Web browser and takes you right to the iTunes download page. If any update is available to download it, restart the computer after the download. If nothing is available, it simply means you have the latest version. 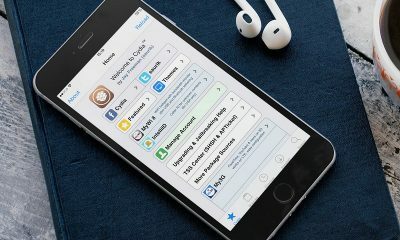 Once you are done with installing the latest version, connect your iPod or iPhone to your computer as you normally do. 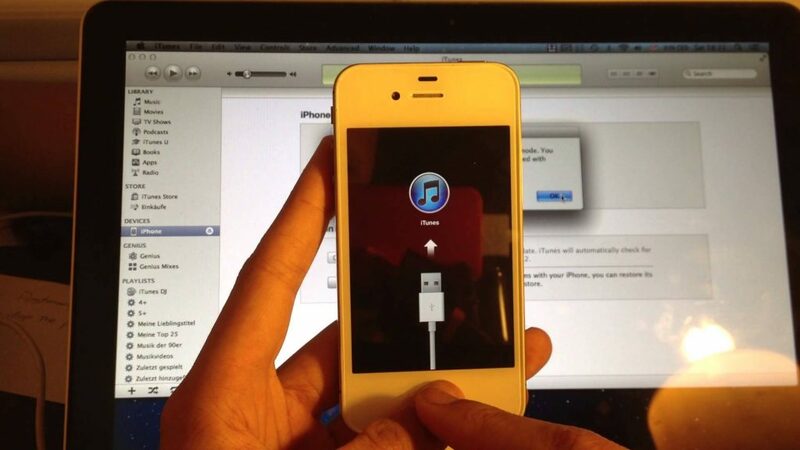 iTunes automatically detects new iPod or iPhone software if it is available. It displayed this information and based on that you should act. If an update is available, click on Update button to install the software in your iPod or iPhone. Whenever you update anything, you need to accept the Apple License Agreement. Only then the new version starts working. It is not that every time Apple gets a pat on the back when it upgrades. Sometimes, it gets criticized too for its interface and for its over-abundance of features. iTunes 12.2 faced this a lot. People who upgraded to 12.2 found its features to be confusing, and this version was criticized to such an extent that people said that it destroyed their music libraries. So, these things keep happening. If you haven't updated your iTunes so far, make sure to check ‘how do I update iTunes.' Upgrades are there for a purpose. Whether you implement interfaces on an ongoing basis, or you implement interfaces less often, the importance of keeping your software current is the same. Upgrades introduce improvements and new features that continually increase the efficiency and time to market. They address/correct bugs encountered in prior versions. By keeping up-to-date on your own time, you are less likely to encounter compatibility issues in a live setting, better able to deal with new problems, and less likely to find yourself with an obsolete version.